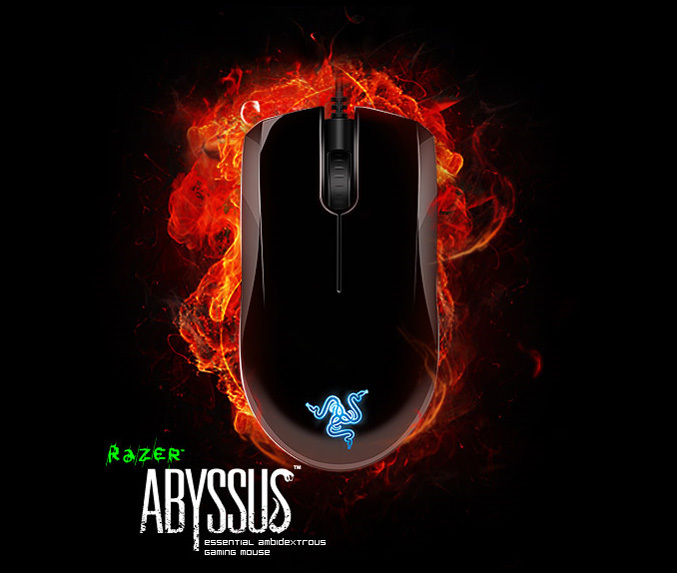 The Razer Abyssus™ Mirror Special Edition was created specifically for gamers that demand the utmost in form and functionality, as well as reliability under the most intense gameplay conditions. The Razer Abyssus™ Mirror Special Edition features a glossy finish and is equipped with two large buttons tuned for maximum tactile feedback, as well as Razer’s signature Hyperesponse™ technology. Underneath, Razer has placed two easily accessible mechanical switches—one on-the-fly dpi switch giving the user their choice of 450, 1800, or 3500dpi and one polling rate switch allowing instant adjustment from a standard 125hz to 1000hz Ultrapolling™. Whether you are making small, precise movements or fast, long range swipes; The Razer Abyssus™ Mirror Special Edition keeps up with your every movement without tracking loss. With no drift control, experience true freedom of movement that allows your exact mousing movements to be translated into in game kills. The Razer Abyssus™ Mirror Special Edition features large tactile buttons tuned for rapid clicking that responds to your command with instant response – so you are always a gunshot or spell ahead of your enemies.